We’re coming to you today direct from the MAX Conference, where Adobe has just made a blockbuster announcement. 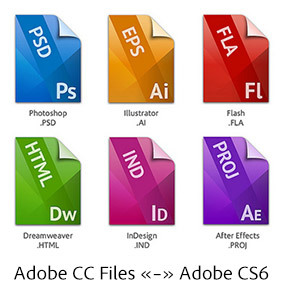 What’s the Difference Between Adobe CS7(?) 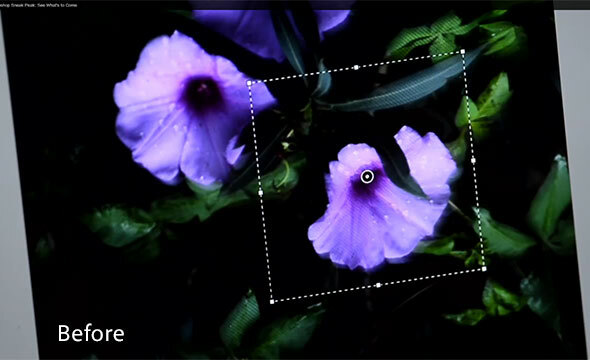 vs. CS6 – What’s New? 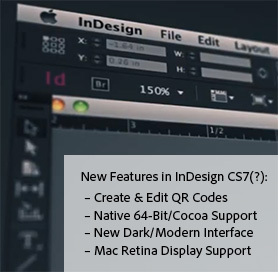 However this year – thanks to the early upgrades already out for Creative Cloud members, some telling blog posts, several “first look” videos, and a “major reveal” at the recent NAB show – we have already a pretty good picture of some of the major new features that CS7 (let’s call it) will include. 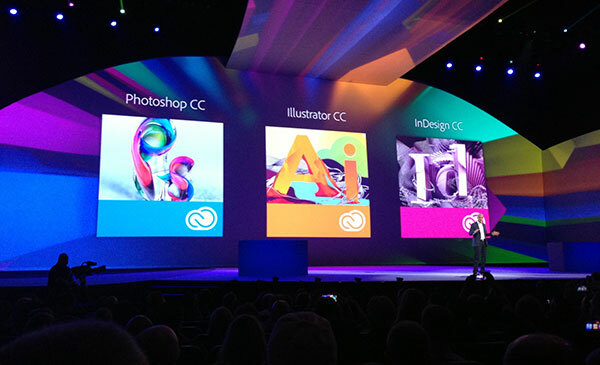 Adobe says all of the new products will be included in the Creative Cloud as soon as they’re out. 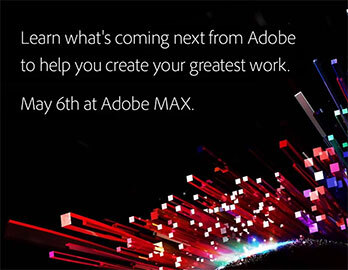 Adobe promises much more will be revealed in the presentation on May 6th – so stay tuned! Well now, we may finally have the answer. 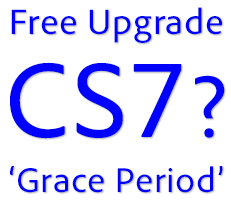 Historically during times like these, the company has set a “grace period” or grandfather offer to provide free upgrades to the next versions for customers buying the older software around the time of new releases – and in fact, such an “Upgrade Assurance promotion” deal was announced for CS6 in March of last year. 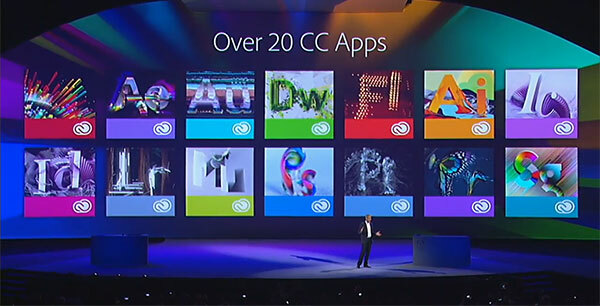 However, no such announcement has been forth­coming this year, perhaps due to the advent of Creative Cloud – where all paid members already receive all product updates and upgrades at no additional charge as soon as they are available. But no matter – you can actually create your own grace period now, whether one officially exists or not. The key is in awareness of Adobe’s longstanding Software Return/Exchange Policy – whereby you can return your purchase to them within 30 days and they will grant you a full refund, no questions asked. This is possible even if you’ve already opened, installed, activated, and started using your product – and can be done quickly over live online chat with their customer service team. Using a limited-time promotion code, you can now join the Creative Cloud for $29.99 a month for the first year, which is 40% off the regular $49.99 price of an annual membership. No previous ownership of any Adobe product is necessary, but the price reduction is only available during this very brief window. With a new version of Creative Suite expected soon, one of the key benefits of Creative Cloud is that all members automatically get access to the latest upgrades and new CS features as soon as they are released for no additional cost. 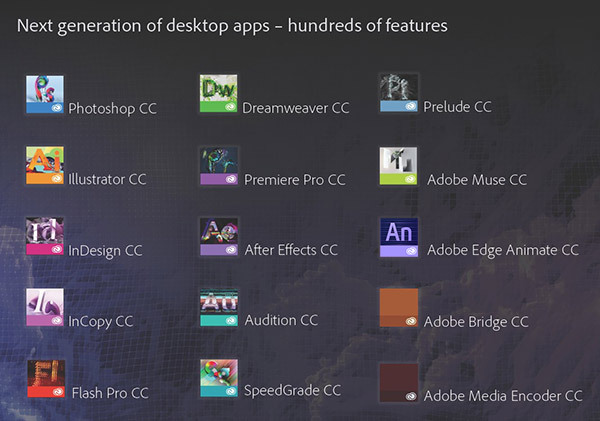 Just in time for the big NAB show, Adobe has given us an enormous window onto what they’re calling an “upcoming version” of their industry-leading Creative Suite professional video tools: Premiere Pro, After Effects, Audition, SpeedGrade, Prelude, Media Encoder, Story Plus, and new Adobe Anywhere. See the complete NAB Reveal here.